BTN has often been asked what the difference is between deep sea cruising and river trips. “Which do you prefer and what makes for the better holiday?”. It is an easy one. Sitting here, wine glass in hand, on the open deck of Scenic Emerald deep in the heart of France, on the River Rhône your Editor in Chief explains. These are two completely different products having only in common the fact you are on water. With both styles of cruising they are for the most part owner operated with no third party involvement . Carnival is what is says on the label. 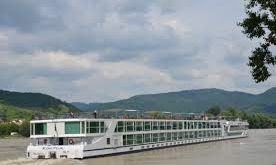 This is also true of the larger river cruise companies such as Emerald and Viking, but with both styles of water borne trips tour marketing companies package holidays run by a third party, some very good, some not so good. Just a warning. For both forms of holiday the great advantage over a car, coach or plane trip is the ability to cover a variety of destinations in a far less tiring way, perhaps losing out on less flexibility. Of course you can charter for both sea and river and do what you want, but that is another life. A sea-going cruise liner is essentially a water-borne very large hotel that moves about from port to port, the only thing in common with a river vessel being that your cabin is a fixture and however many places you visit you return to the same accommodation every night. No packing and unpacking. Cruise liners in general range from about 350 passengers to 6,000. 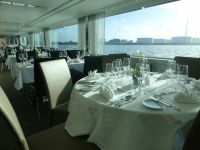 River cruise ships are boutique, in Europe 200 passengers the absolute maximum. No sea days as such, but as with this trip sitting on the top deck in the autumn sun (23 degrees) as we glide down the Rhone is compensation enough. There is probably no hotel in the world larger than the biggest cruise ship. In the UK the average star-rated hostelry size must be around 300, with the largest London accommodation not more than 800. As such the cruise liner offers much more, all with swimming pools, most with gaming, show time every evening, and a very full entertainment package. Dining is now of the highest quality. The spa and keep fit facilities are at least the equal of their land-based contempories. Your package is usually very comprehensive, the value excellent, and there is no need to put your hand in your pocket once the trip is paid for. Not so for a land-based holiday, although some operators do offer all-inclusive packages. Very few cruise ships are more than 25 years old. Hotels can date back for ever, proprietors always rushing about trying to keep up with modern requirements and safety standards. A river cruise is a much quieter experience than going to sea. The ship is smaller, and the cabins likewise, although the latest craft accommodation is excellent, baths as well showers available, proper balconies, butlers with some, and room-service breakfast if required. You really are on a high-class water-borne coach tour with no effort required moving from location to location. Meal times are fixed and whilst there is always a musician on board, the evening activities are very low key. Some river ships now even have alternative dining and keep fit apparatus is provided, often a bicycle (electric powered in some cases) for an excursion. You keep bumping into the same people again and again, but there is not the same social spread as seen on large cruise ships. The function of the Hotel Manager on a river cruise is much the same as for the ocean-going counterpart. That person is the most senior non-technical operative and accountable for all things to do with passenger comfort. Next down the ranking is the Cruise Manager whose responsibility is essentially the social aspects of the trip, and whilst not usually the leader for land excursions, that being left to locals, often gives the pre-arrival briefing. A good Cruise Manager can turn a more or less regular journey into something special. On a sea-going ship this individual is often titled Entertainment Manager, many stage and night club performers themselves, the MC for the big shows but also looking after the many, many activities on board. There is no doctor on board river craft this being deemed not necessary with surgeries and hospitals within easy reach although the crew are first aid trained. A hairdresser is normally available, your mobile phone will work at international rates, likewise wi-fi which is normally free. Lifts are on all ships and there is provision for people with restricted movement. 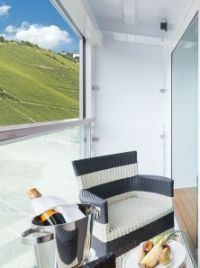 River cruising is more expensive than the deep sea variety as it usually includes travel, tipping and the daily excursions. With the small numbers involved, from an organiser’s point of view, it is always going to be costly to operate. If your only cruise experience is deep sea BTN recommends trying a river trip. You will find it entirely different. And if you have not been on the Danube, Rhine, Dutch or Russian waterways you have really missed something. We will be reporting on the Rhône shortly. CRYSTAL is again the big news of the month. The cruise line’s new parent company Genting Hong Kong, a leading leisure operator, has entered into an agreement to acquire Lloyd Werft, the Bremerhaven (Germany) shipyard founded in 1863. CRUISE & MARITIME VOYAGES (CMV) has introduced a new series of ships’ visits called “test drive in cruise control”. HAMBURG hosted its annual ‘Cruise Days’ 11-13 September, hosting close on 600,000 visitors and seven cruise liners, something perhaps for Southampton to think about. On Friday 11 September the Costa neoRomantica and the Phoenix Reisen Amadea – the new “dream ship” from the German television series – both visited the port followed the next day by Mein Schiff 4, the Europa and AIDAbella. Saturday night was the highlight, with visitors gathered on the banks of the Elbe for a vessel parade. Escorted by countless barges, sailing vessels and small passenger ships, the AIDAbella, Mein Schiff 4 and Europa made their way down the River Elbe – against the beautiful backdrop of the port, which was bathed in blue light. Each of the ships was welcomed with its own fireworks display and was waved off on its journey with a personalised laser message. ROYAL CARRBIBEAN is to debut the world’s largest cruise ship for the 2016 European season. Harmony of the Seas is the first in a new generation of Oasis class ships where ground-breaking architectural innovations are combined with advanced technologies of the Quantum class. It is a family ship including Splashaway Bay, a waterscape for kids and toddlers with sea creature water cannons, winding slides, a gigantic drench bucket and a multi-platform jungle-gym to keep everyone entertained for hours. Guests of all ages will get a heart-pounding thrill ride on the Ultimate Abyss, a 10-storey slide that begins in the Pool and Sports Zone at the aft of the ship down to the Boardwalk neighbourhood below. Spiralling five decks above the landscaped, open-air Central Park in the centre of the ship, water slides Cyclone, Typhoon and Supercell come together as The Perfect Storm, inviting travellers to slide into an incredible adventure. Thrill seekers can test their mettle in Supercell, featuring a champagne bowl swirling guests around as they descend into their approach towards a big splash finale.